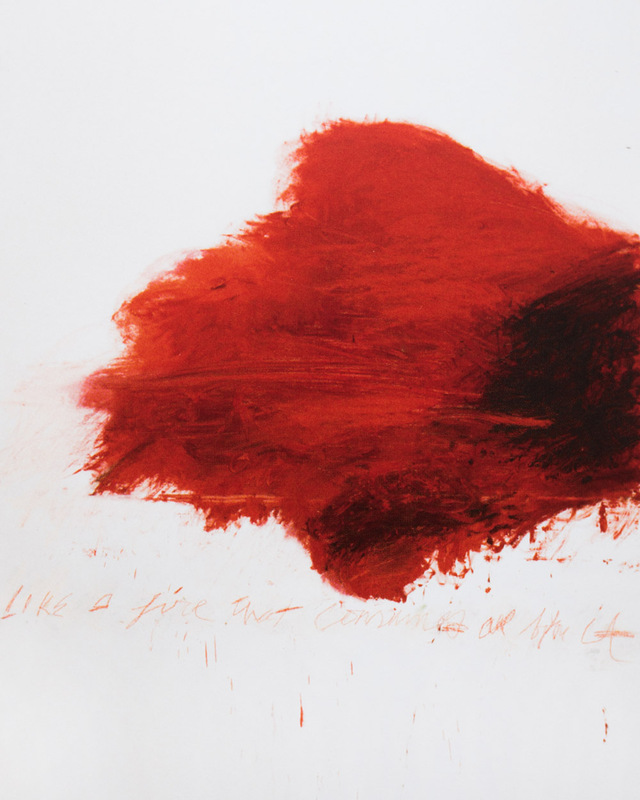 ‘Fifty Days at Iliam: The Fire that Consumes All before It’, 1978, by Cy Twombly. Original artwork courtesy of Philadelphia Museum of Art. Pictured here is a print of the painting that I found in Paris. Looking at color red raises the metabolic rate and the heart rate. The color literally turns you on and warms you up. Whenever you feel fragile or need a boost, wear red and infuse it in your surroundings.